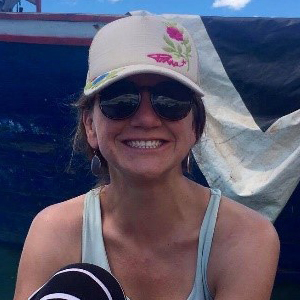 Molly Ahern is a nutrition specialist working for WorldFish and Bioversity International on the IFAD-funded project Strengthening Capacity for Local Actors in Nutrition-Sensitive Agri-Food Value Chains in Zambia and Malawi, led by McGill University, Canada. She is based at the WordFish Zambia Office in Lusaka. She previously worked for Bioversity International in Costa Rica and at the headquarters in Maccarese, Italy. She has a master's in food security and human development from Universita degli Studi Roma Tre, where she conducted research on the four-cell method for participatory research on food systems. 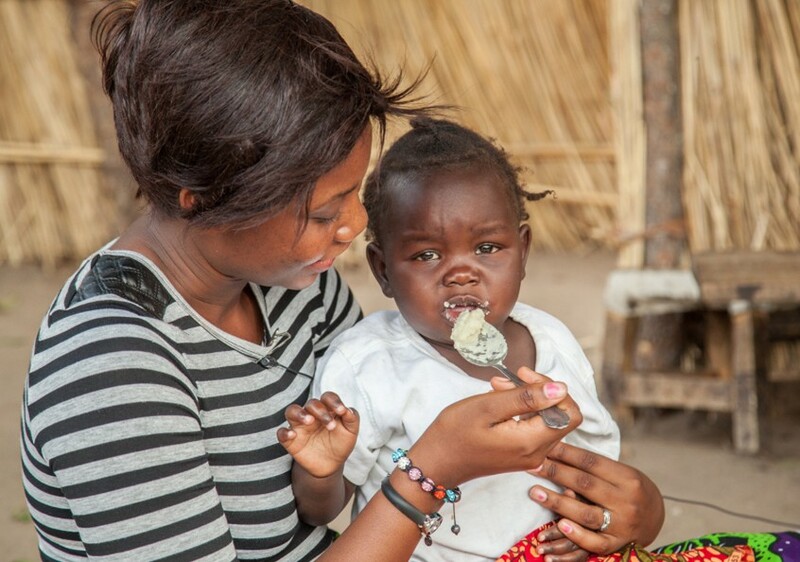 Angela Muyangana feeding the daughter of a local farmer, Barotse Floodplain, Zambia. Photo by Clayton Smith. Poor nutrition during the first most critical 1,000 days of a child’s life—­­­­from conception through pregnancy and lactation to the child’s second birthday—can result in permanent developmental prob­­­­­­­­­­­­­­­­­lems. The Demographic and Health Surveys conducted in Malawi (2015-2016) and Zambia (2013-2014) show that 37 percent and 40 percent respectively of children under five years of age suffer from stunting, which results from chronic malnutrition.